The Economic and financial crimes commission, EFCC, has declared two women for forgery and theft of 27 million naira. According to the commission, Ayanlola Temitayo and Omosalewa Ayinla are wanted in a case of conspiracy, forgery and obtaining money under false pretences to the tune of 27 million naira. Ayanlola allegedly forged a customer’s documents and fraudulently obtained a loan facility using the customers’s ﬁxed deposit as collateral to secure the sum while Ayinla allegedly forged treasury bills certiﬁcates worth N27 million and handed them over to a customer in exchange for the sum. 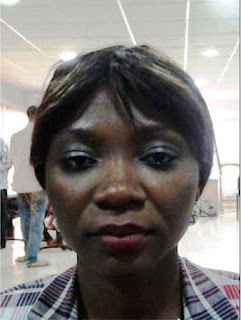 The suspect, Ayanlola Temitayo is at large while all eﬀorts to apprehend her have proved futile. A native of Ondo West Local Government Area in Ondo State, the dark complexioned suspect is 40 years old and is of average height. She speaks Yoruba and English Languages ﬂuently. 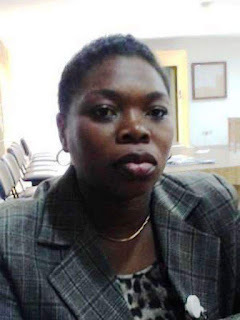 Her last known address is No 44 Akinlawon Agboola Close, Jericho, Ibadan, Oyo State. Omosalewa Ayinla the second suspect is at large while eﬀorts to apprehend her have been futile. A native of Ijebu North Local Government Area in Ogun State, the dark complexioned suspect is 38 years old and is of average height. She speaks Yoruba and English Languages ﬂuently. Her last known address is No 7 Prince/Princess Elesin Meta Estate, Apata, Ibadan, Oyo State.